The 8 GB RAM Nubia Z17 can now be pre-ordered for US$479 (64 GB storage model) or US$599 (128 GB storage model) between August 21 - 28. Pre-order perks include 10,000 mAH power banks, headphones and discount vouchers. 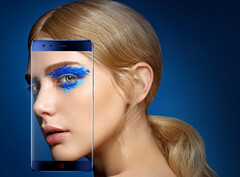 ZTE released the Nubia Z17 with 6 GB RAM and 64 GB internal storage back in June, but ZTE is already planning to offer an upgraded version with 8 GB RAM, which can be pre-ordered between August 21 -28. The Chinese manufacturer mentioned that the new 8 GB version will be immediately available for direct purchase after August 28, however, the pre-orders get included benefits such as 10,000 mAH power banks, headphones and discount vouchers. Pre-orders can be placed on the official Nubia site or on JD.com (warning: both sites are Chinese). There are two versions: the 8 GB RAM + 64 GB internal storage for CNY3,399 (US$479) and the 8 GB RAM + 128 GB internal storage for CNY3,999 ($599). With the new Nubia Z17 8 GB RAM version, ZTE intends to provide a serious competitor for the LG G6 and the OnePlus 5. Even though the new 8 GB RAM version is only available in China for now, ZTE will most likely release it worldwide at a later date.